Looking for full mouth dental implants clinic because missing one or more teeth you may feel sheer discomfort or embarrassment then there is good news! 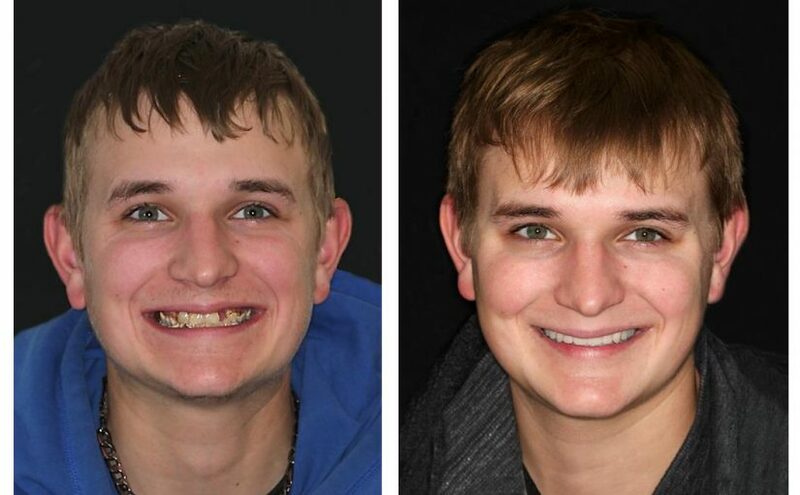 Now, several options of advanced and reliable techniques are available at various full mouth dental implants clinics for broken tooth replacement and tooth decay cavity that permanently attach and replace new teeth anchored in the jawbone. A dental implant is a titanium post that looks and function just like real teeth and is surgically positioned into the jawbone beneath the gum line to mount replacement teeth or a bridge into that area. It doesn’t come loose like a denture. A full mouth dental implants though may be pricey, but offers distinct advantages over other conventional solutions, especially when compared to dentures. It helps in restoring the support of the facial structures for a younger look and also provides ability for normal functioning. They are more comfortable and stable than conventional dentures in retaining more natural biting and chewing capacity. Dental implant supported with full bridges and dentures replaces tooth roots for the better preserving of bone. They also benefit to maintain general oral hygiene as they do not have to be anchored to other teeth, like bridges. 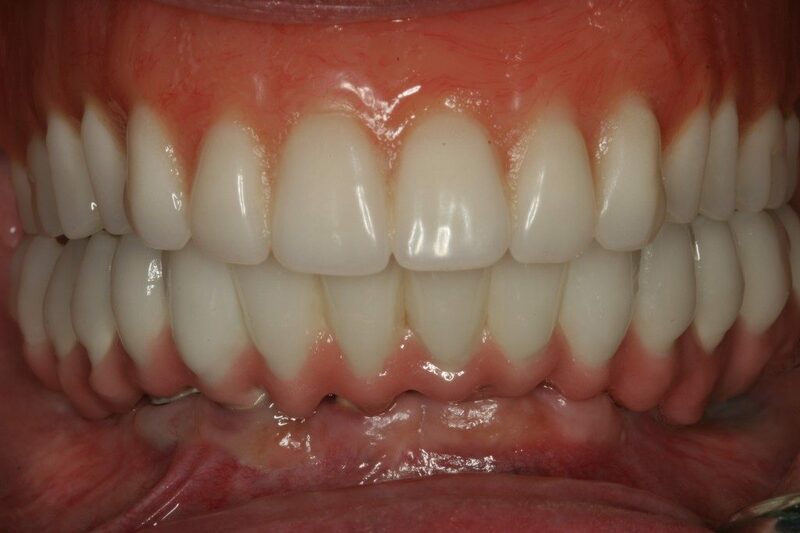 Even in long term use, implants remain more aesthetic and can be easily maintained than conventional dentures. While considering for full mouth implants, you must have adequate bone and healthy gums to support the implant, otherwise, you may need a bone graft. In a situation with insufficient bone height in the upper jaw or the sinuses are very near to the jaw, then a sinus lift may be required. Although your teeth are covered with the strongest tissue named ‘enamel’, but it can still be damaged or broken in many ways due to a traumatic fall, crash, or blow. Also, some foods are also harmful and damage your teeth such as hard candies, citrus, ice, coffee, potato chips, dried fruit, soda, alcohol, and sports drinks. Once your tooth gets broken or cracked and extends below the gum line, it may no longer be treatable and saved. A broken tooth treatment may require a tooth extraction and finally a dental implant to replace your natural tooth. Dental implants replace your missing teeth and acts like your tooth’s new root. They are placed securely in your jawbone for a lasting fit. Tooth decay cavity occurs when specific strains of bacteria in mouths produce acid that damages the tooth enamel and its inherent layer. It can weaken your teeth and cause them to break while chewing hard food. In early signs of tooth decay when it does not break through the enamel, your dentist can apply sealants on molars. If enamel has been irreversibly compromised, then the dentist may recommend filling the tooth. Also, in more serious cases, a root canal may be recommended. In children, a dentist may seal both baby molars and permanent molars and also apply fluoride varnish to prevent them from further decay. If you are also suffering from complications of broken tooth and looking for the best full mouth dental implants clinic in Chandigarh, then look no further and contact our dental experts at ‘Specialists Dental Care’. We also provide all sorts of treatment related to broken tooth treatment in Mohali. We are the leading providers of tooth decay cavity treatment in Chandigarh to match the world-class standards.